A very disapointing day at the Antique Mall yesterday, no real finds showed up like at the times before. Believe it was due to the last minute change of the date of the event and the weather changes during the day. (Sorry, you often find an excuse where ever you can). Did get some old photos to look at, turns out they were all reprints of the originals. Too bad, they could have been something. One of them was of Lou Gehrig at Yankee Stadium during his farewell. Framed in a old frame, it could have fooled anyone. Only closer inspection using a magnifying glass can one see the printing dots on the photo. Oh well. Mendy’s will be at the Westminster Antique Mall (Westminster, MD) this Saturday, March 28, from 1pm to 4pm, providing free appraisals of your baseball memorabilia. 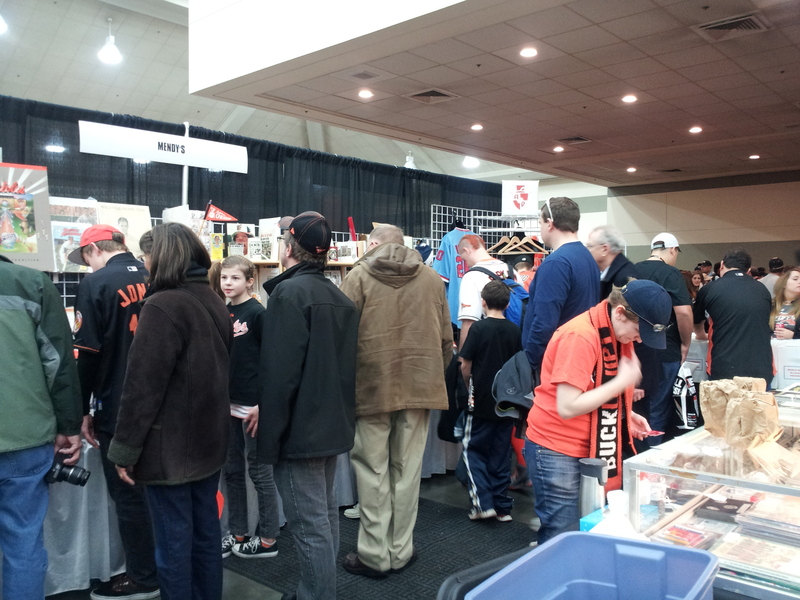 Drop by to have your items appraised, do some shopping, and talk a little baseball! See you at the Mall! For those of you who cannot be there, I plan on taking some photos of the action for this blog. A story from this weekend’s show. Lots of autographs with lots of signers. 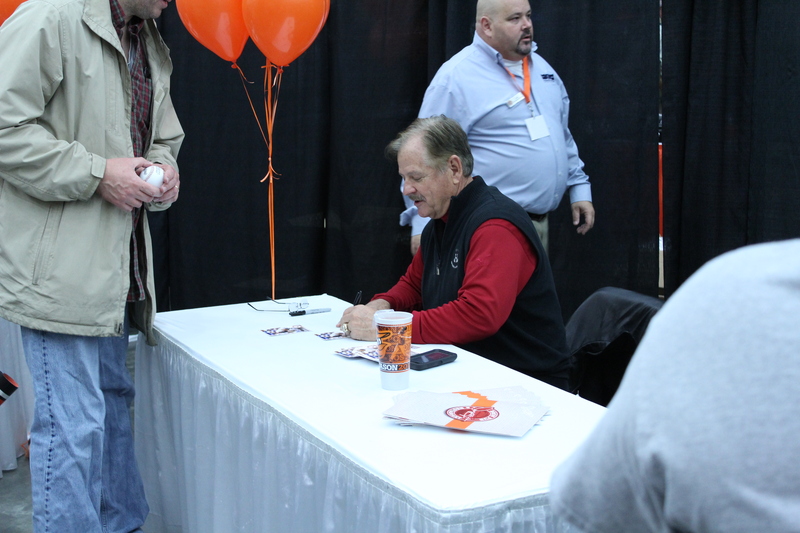 It is no widely known, but most autograph shows double as an opportunity dealers to arrange for private signings, that is, when items are signed for mail orders. The guest spends time in front of the curtain, meeting the public, signing autographs, posing for pictures, kissing babies, that kind of stuff. Behind the curtain, rows of material (baseballs, bats, jerseys, helmets, etc) are laid out ahead of time for the signer to sign, in an assembly line fashion, with lots of helpers to take the signed items away so they can be packaged up and shipped right away from the show. In no time at all, hundreds of autographs can be collected in this way, if it works according to plan. This weekend, minor pandemonium. 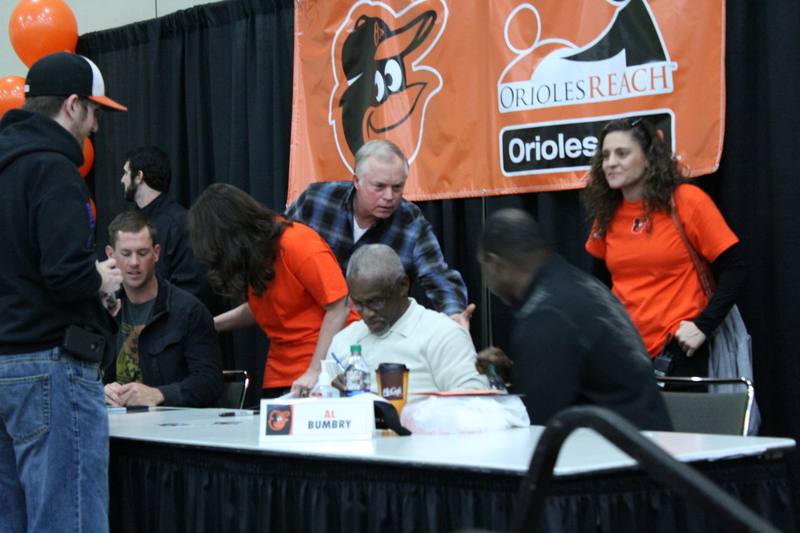 Some of the stars wouldn’t sign beyond the minimum number that they were contracted to sign, some left without signing the mail order items, and some wouldn’t sign certain items at all. By the end of the show, there were a lot of unhappy dealers behind the curtain, with lots of mail order items that were unsigned. It looked alot like for floor of the stock market, yelling, hand waving, pointing, paper being torn up,… Boy, I would hate to be their customer service rep this week as stuff is returned unsigned. Well, the Show in Chantilly is behind us now, what a interesting weekend! I was a Baseball guy at a football autograph show, and the receipts for the weekend prove that you should never take a knife to a gun fight. 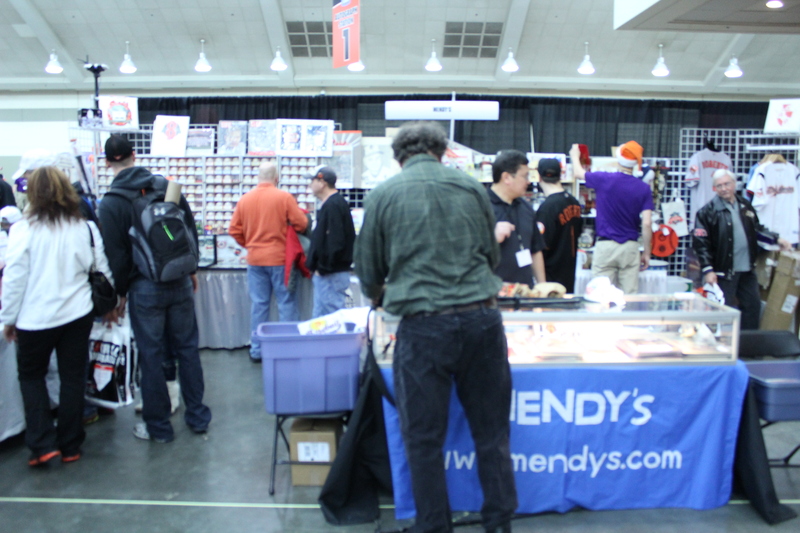 But we had a good time, got to see a number of good friends, customers, and dealers. 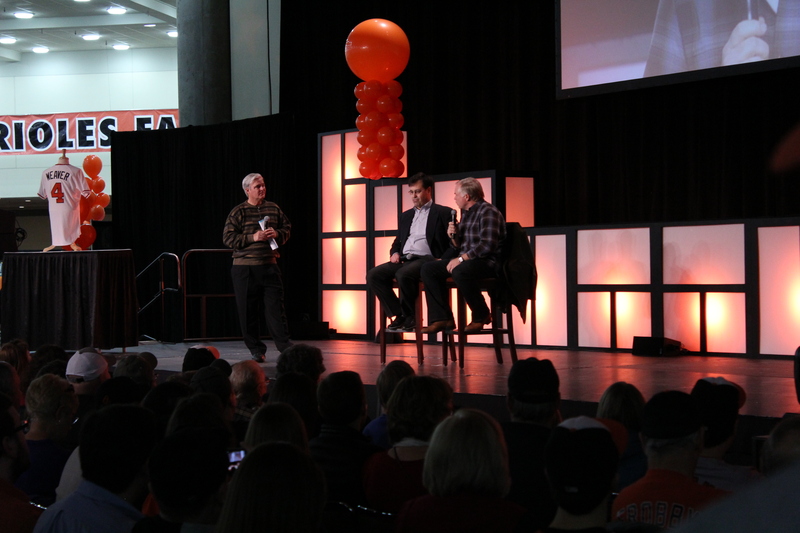 Now it is time to reset, prep the show inventory for the Baltimore Orioles Fanfest on April 4th, and get ready for a very intense one-day event. Looking forward to the Bird’s fans, just like everyone else this time of year, crazy for their team, who will go “all the way” this year. Oh yeah, also have the baseball antique roadshow this Saturday at the Westminster Antique Mall too.